All our diving prices are in Thai Baht and are based on Internet bookings. We also offer dive & accommodation packages (please send us an email, so we can offer you the best fitting dive package). All the diving prices are based on full dive equipment rental. 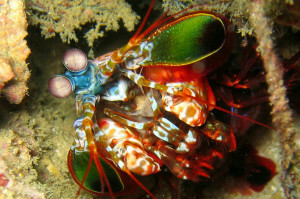 If you however have your own dive gear, we give a 400 Thai Baht discount per day per diver. All our dive prices include water, sodas, Padi professional dive guide, lunch, breakfast, fruits, transfer to and from your resort on Koh Lanta and 2 dives per day on air on local dive sites. On far away dive tours (3 hours from Koh Lanta) we provide an extra snack and extra sodas. These faraway diving trips have an added fuel charge of 500 Thai Baht per diver per day. A 3rd dive in a day is possible if requested before and on some dive trips, the extra cost will be 1.000 Thai Baht per tank. For Koh Ha, Hin Daeng, Koh Bidas, Koh PP and Koh Rok the marine park charges 600 Thai Baht per diver per day or 400 Thai Baht per snorkeler per day directly by entering the marine park (this is excluded from the above dive prices). These prices are for licensed divers only. Please bring your diving license and logbook as proof. If you have lost your license or logbook or have any considerations (medical or dietary), please email us about this before you arrive to Koh Lanta and Thailand. We ask divers to refresh their skills with our Padi dive instructor, when they have not been diving for longer then 2 years. 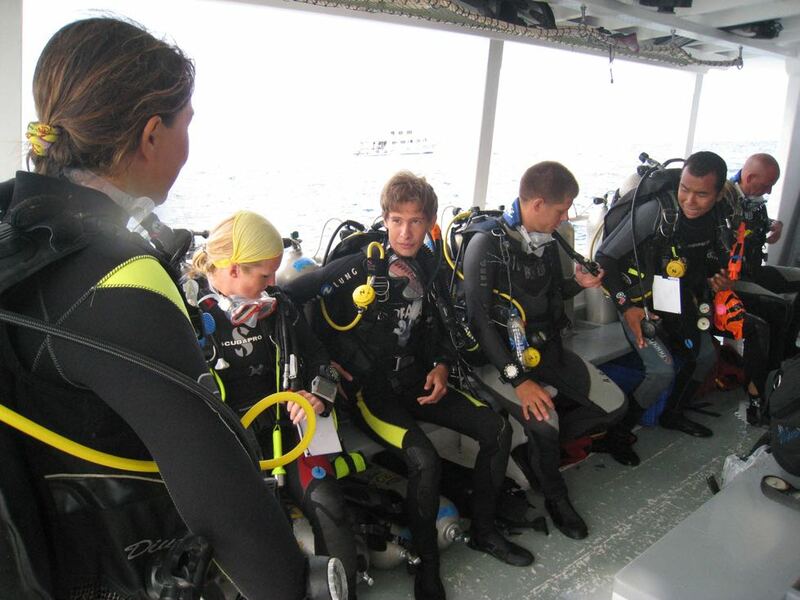 Wether you are a dive center, dive club or a group of friends, we offer dive group discountsand a special dive trip planning for dive groups. Please let us know how large your dive group is, when you would like to come over to dive and what certification level the divers are. Our Padi dive masters & Padi dive instructors are experienced diving guides and dive teachers, with great knowledge about the Andaman Sea, who have been diving around Koh Lanta and in Thailand, but also in different other dive locations around the world. Let Andaman Dive Adventure Lanta make your group diving holiday into a great dive memory!